Sometimes cartoons come in a flash of inspiration. Much of the coverage of the trials of various TV and radio stars has featured multiple photographs of the accused, which led me to think, "It's like a bad episode of Celebrity Squares" ... and then quickly reach for my notebook. 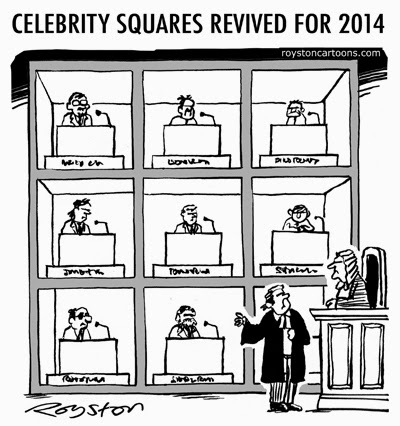 Only after doing a bit of picture research for the cartoon did I discover that Celebrity Squares may indeed be due for a revival. 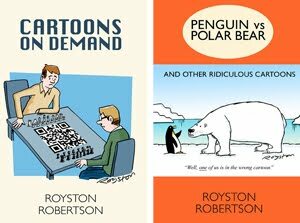 I can almost draw barristers and judges with my eyes closed, as I have drawn cartoons for the Law Society Gazette for many years. 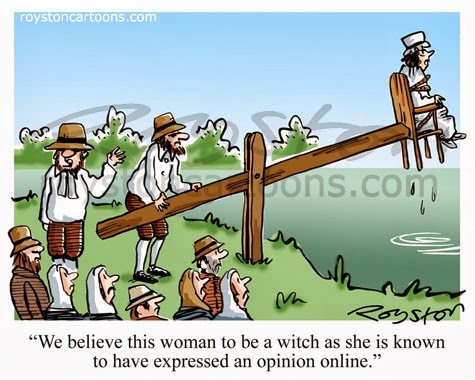 "We believe this woman to be a witch as she is known to have expressed an opinion online." 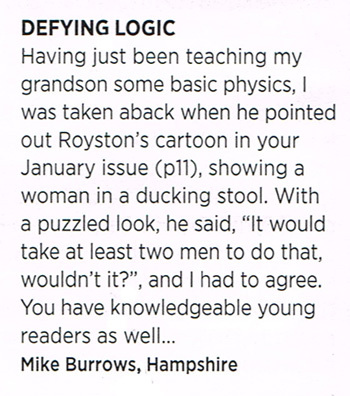 This topical cartoon about the abuse of women online (a kind of follow-up to this Private Eye one) can be seen in the January issue of Reader's Digest.